Today we have welcomed four new excellent research partnerships focussing on paediatric asthma, cancer, osteoarthritis and paediatric infections. The ambitious partnerships between the Capital Region of Denmark and the University of Copenhagen aim to contribute with knowledge and results of benefit to more patients. 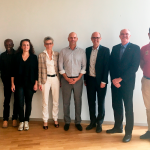 A year has passed since the research academy Copenhagen Health Science Partners (CHSP) announced the names of its first excellent research partnerships, the so-called Clinical Academic Groups (CAGs). Based on positive experience and results, today the Capital Region of Denmark and the University of Copenhagen under the auspices of CHSP present another four CAGs focussing on research collaboration at the highest level. According to an international panel, the four new CAGs each have the potential to generate important new knowledge and results within central fields of treatment and patient groups. The establishment of CHSP as a joint research academy was based on a wish to strengthen the professional bridge-building between basic research and patient-oriented research and treatment in the hospitals. At the same time, the new elite unit partnerships will contribute to strengthening education and competency development within the health sector. ‘We have many strong research environments both at the university and in the hospitals, and by strengthening the professional bridge-building we wish, through these CAGs, to facilitate greater collaboration across disciplines, departments, sections, working methods and traditions’, says Dean Ulla Wewer, Faculty of Health and Medical Sciences, University of Copenhagen. The inspiration for both CHSP and the CAGs comes from King’s College in London, which successfully has managed to bring basic research and patient-based research in the hospitals closer together. Similarly, the largest university in Norway, NTNU in Trondheim, has begun work on a similar partnership inspired by the Danish model. ’The ambition behind the collaboration is to create the required framework for putting research into practice. Together the day-to-day management and research environments ensure a professional approach to disseminating research, thus increasing the quality of treatments’, says Diana Arsovic Nielsen, Director of the Centre for Regional Development in the Capital Region of Denmark. The Regional Council of the Capital Region of Denmark has just approved and supported the expansion of CHSP with the four new CAGs. 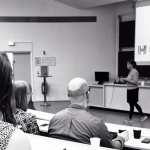 ’Through CHSP we can, together with the University of Copenhagen, facilitate large-scale projects and prioritisation within health research. And this is important, because when research and everyday clinical practice are brought closer together we can increase the state of health of patients and citizens in the Capital Region of Denmark’, says Lars Gaardhøj, Chairman of the Business, Growth and Research Committee in the Capital Region of Denmark. The launch of the four new CAGs will take place in the Maersk Tower in Copenhagen on Thursday 28 June 2018. Copenhagen Health Science Partners (CHSP) is a partnership between the University of Copenhagen and the Capital Region of Denmark which aims to promote the health and medical sciences and to strengthen the impact of research on clinical practice of benefit to patients. This is done by strengthening the opportunities for collaboration between clinical and basic research. The partnership is inspired by a British model applied at King’s College in London, which has successfully managed to bring basic research at the university and patient-oriented research in the hospitals closer together. The Capital Region of Denmark provides 1.7 million citizens with a vast number of health services and treat an average of 13,000 patients a day in hospitals and clinics. At the same time, more than 4,000 scientists conduct innovative research at the University of Copenhagen and in the hospitals. University researchers and clinical researchers can use CHSP to learn from each other and to develop new ideas, resulting both in faster scientific results and better treatment of patients. GCHSP is a partnership between University of Copenhagen, Technical University of Denmark, Region Zealand and the Capital Region of Denmark. The partnership is established to strengthen the cooperation between researchers in basic laboratories and clinical researchers in the hospitals. Copyright © 2017 Copenhagen Health Science Partners - Alle rettigheder reserveret.